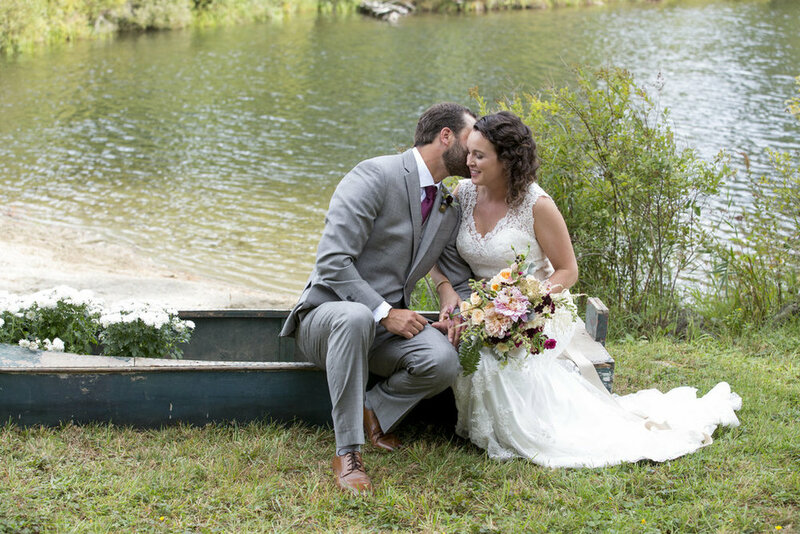 Atop a hillside in Jeffersonville Vermont, Sam and Karah tied the knot on a beautiful family filled September day. 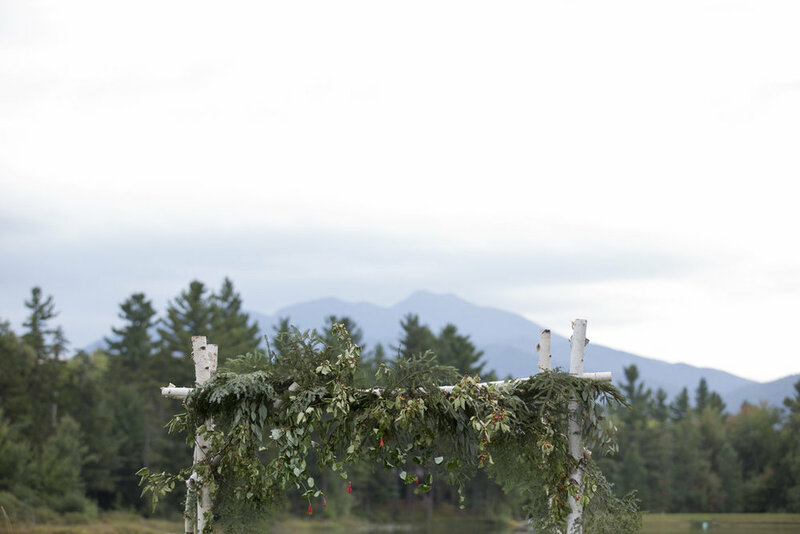 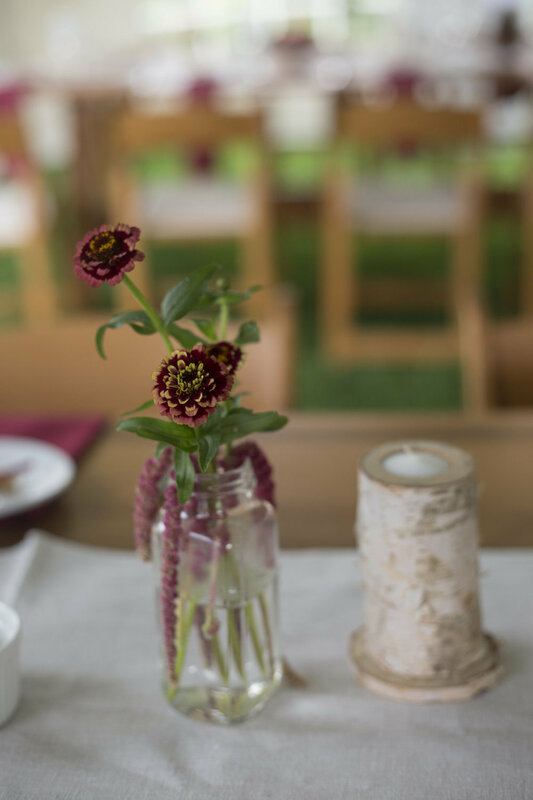 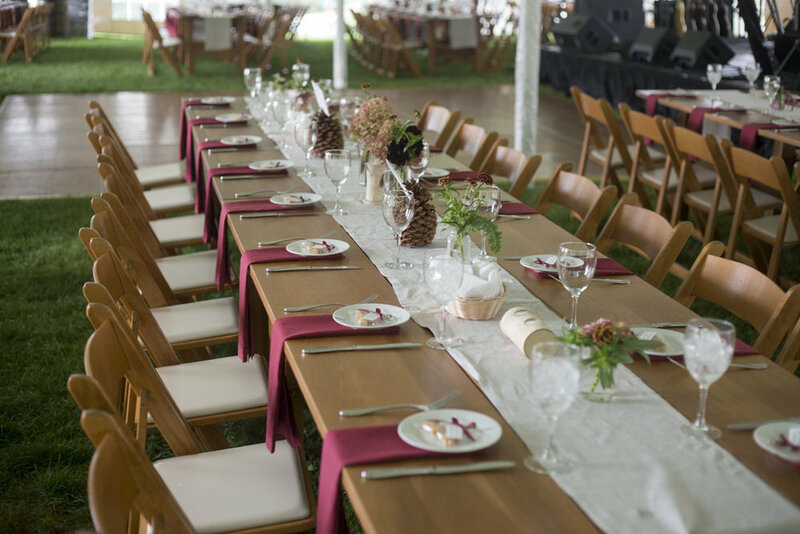 They really wanted a Vermont feel to their decor, including bullet casing boutonnieres and a completely foraged pine bough and birch arbor. 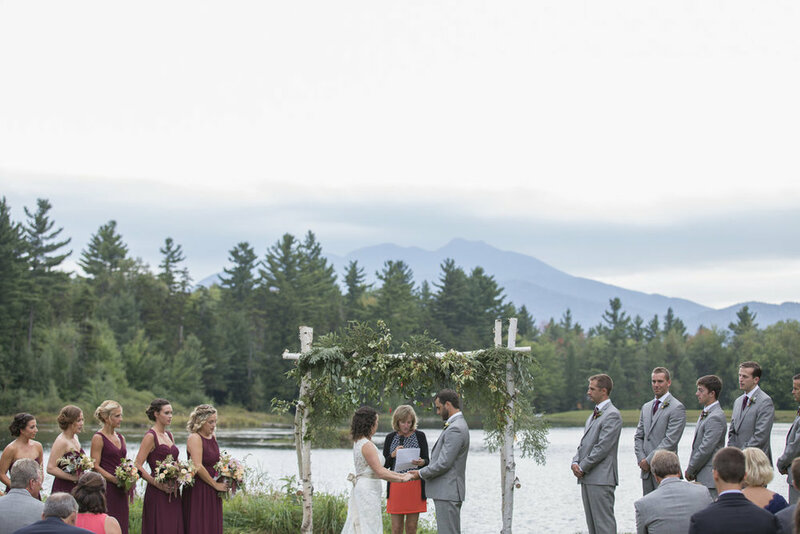 The color palette was burgundy, rose pink, dark reds, peach, and greens. 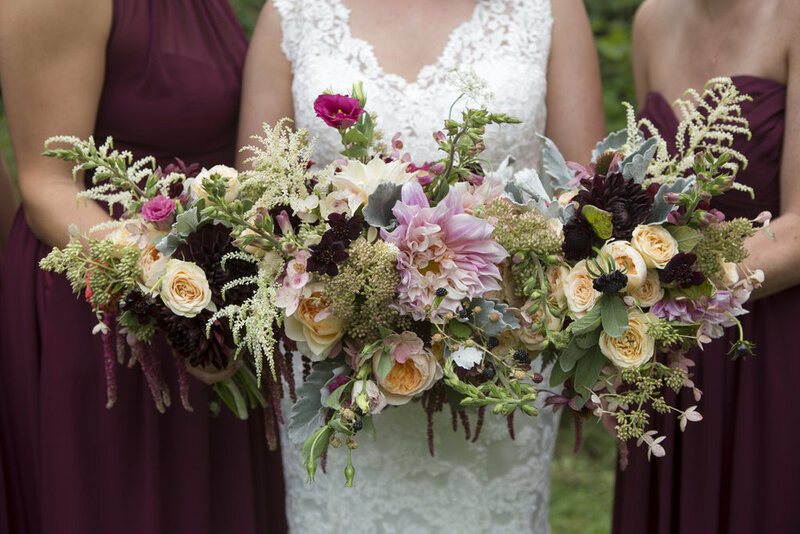 Flowers featured were cafe au lait dahlia, scabiosa, astilbe, cosmos, amaranth, foxglove, juliet roses, and foraged ferns.